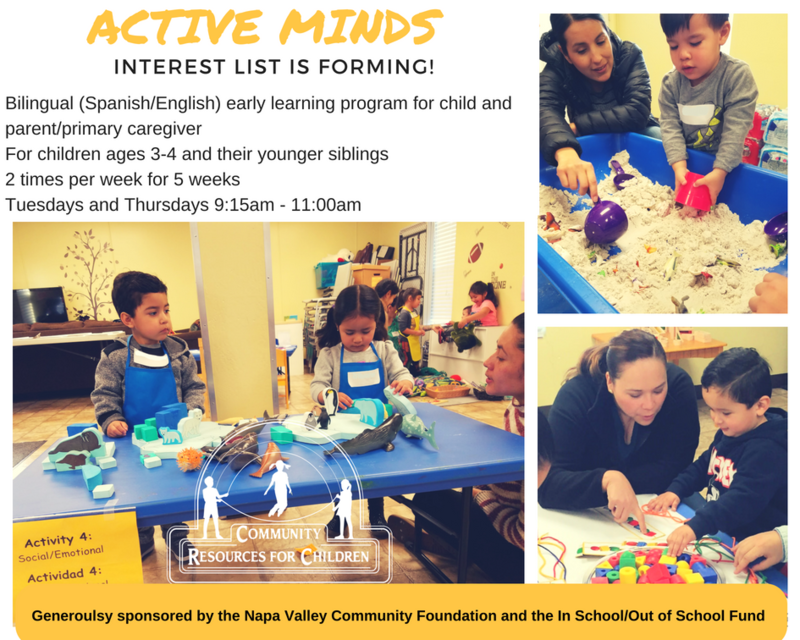 Active Minds Mini Series is a bilingual (English/Spanish) discovery-based early learning program for children and their parents/ primary caregivers. It is designed to promote school readiness and parent/child communication and interaction. Active Minds serves children 3-4 years old and is led by a bilingual team of Early Learning Specialists. Please contact Esmeralda Gil at egil@crcnapa.org or (707) 253-0376 x130 for more information.